As always, we love working with the best seasonal flowers here at Campbells HQ. Have a scroll through for your end of Summer, Autumnal inspiration fix. 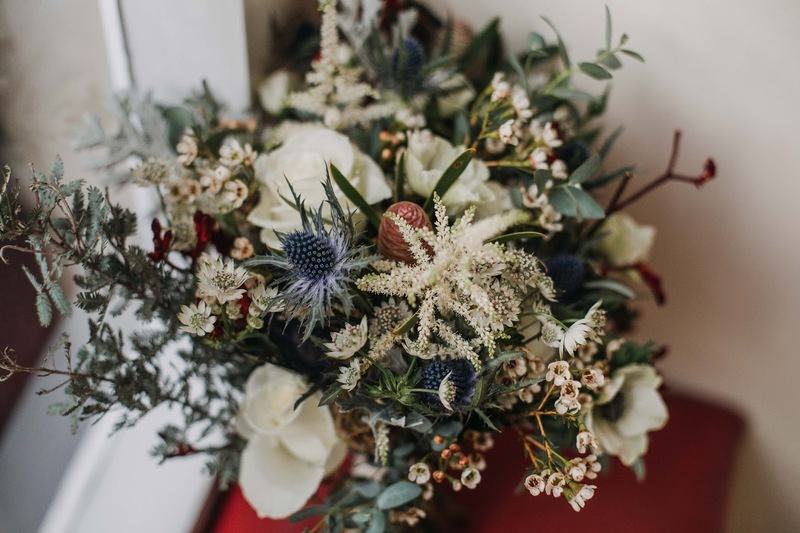 From wild, asymmetric bridal bouquets to hair combs; September pretty much had it all! I just wanted to write a quick post about your feedback and reviews especially as the peak wedding season draws to a close. Over the Summer we have had some really incredible couples get back in touch with us saying some pretty amazing things about our flowers and the service they received which have both made us blush but also reaffirmed what a fantastic job we are doing and how proud we should be of the work we do here at Campbell's HQ. So we not only wanted to say thank you but also just reach out to all the couple's that have maybe been putting off leaving a review, thinking "I'll do it another day" or even "they probably won't read it anyway". Your feedback means the world to us, we love what we do and in this digital age where the world can sometimes seem a little faceless and cold it's amazing for people to be able to read first hand from our real couple's what we are all about and what we have to offer. The warmth of the brides and grooms that we work with really shines through as you read their statements. Here is what our most recent google review says, sent all the way from Texas! So we really hope that we have inspired you to get in touch with us, we would absolutely love to hear from you! To review us on google just follow this link or on Facebook just follow this link or why not just do both?! Another fabulously busy Summer month has gone by and not without providing us with another array of stunning seasonal blooms to work with. 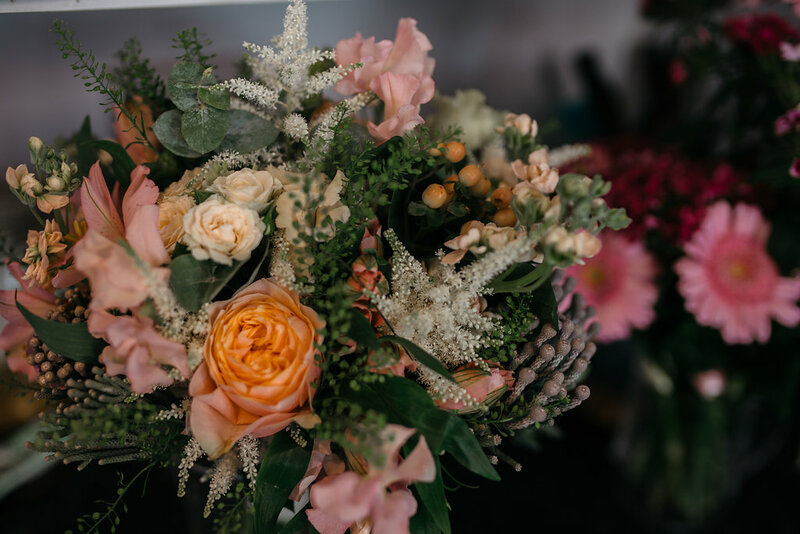 We couldn't have wished for better weather for our July brides, thankfully the weather hasn't fazed us here at Campbell's HQ in our super cool studio the flowers have been loving life! We do love our workspace. 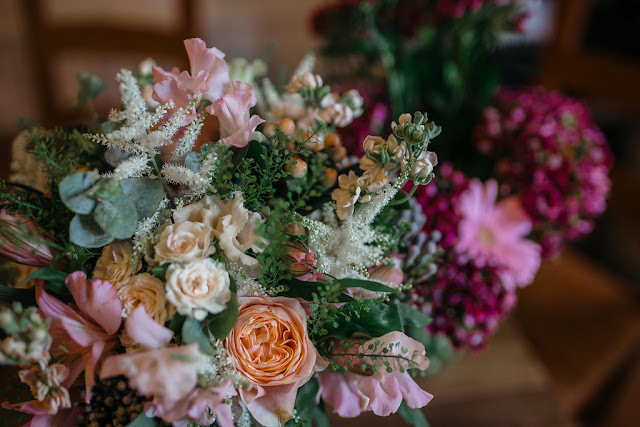 As always we aim to provide you with plenty of floral inspiration for your big day so just scroll down and enjoy. From the close and compact to the wild and wonderful we have it all in terms of bouquet designs last month. So better late than never! 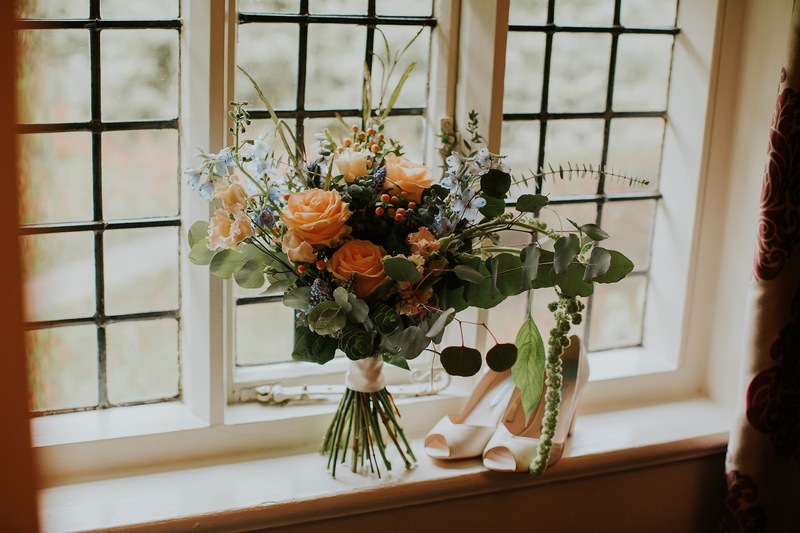 It's been a hectic month here at Campbell's HQ as we head full on into wedding season hence the slight delay in our usual monthly blog, however, May was definitely worth the wait. Brights have played a big part - from just a couple of colourful stems, to a full on cascade of lively hues. Summer season sees scented flowers coming into their own with stocks, roses and sweet peas but to name a few. 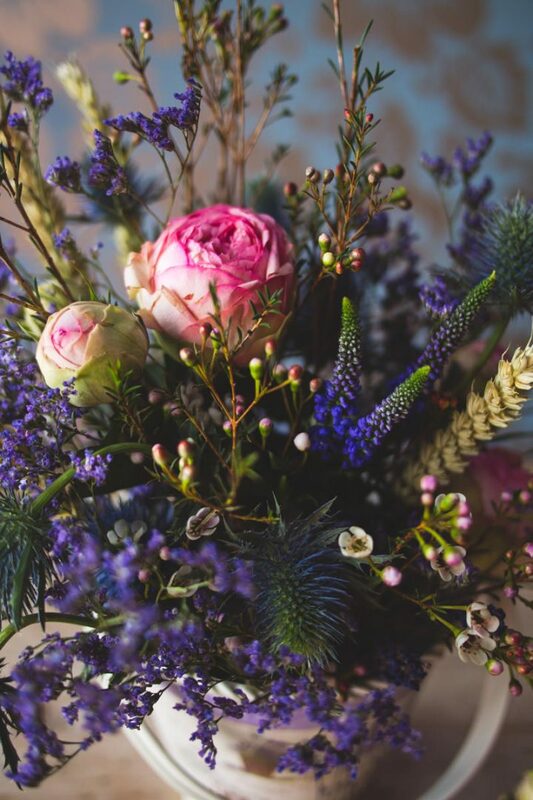 We have had the opportunity to increase our involvement with local growers to incorporate more of the British grown blooms which has been a subject very close to our heart since we started our biz, and we aim to continue to increase our use of homegrown flowers, whenever we can. 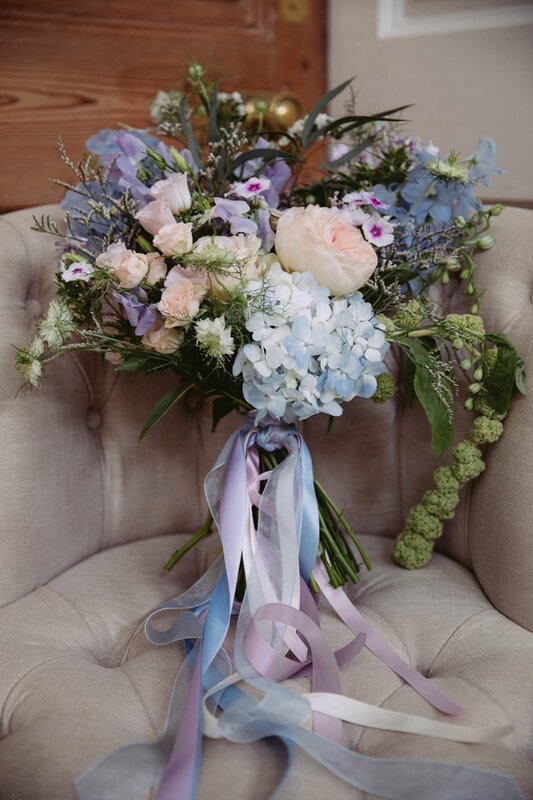 Bouquets seemed to follow a posy style trend with our signature Campbell's wildness. So April saw us pop up on a couple of blogs which was super exciting and also appear in a rather wonderful magazine. 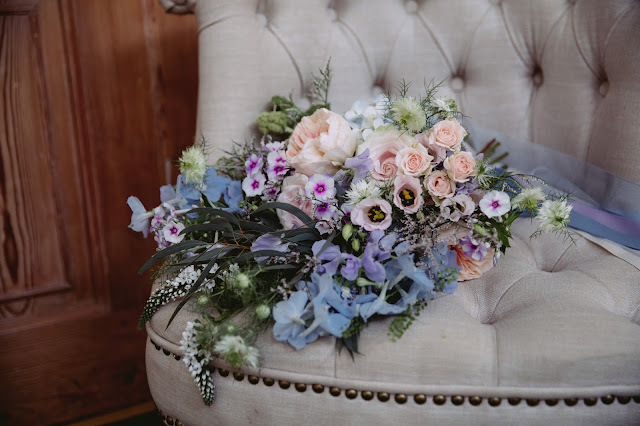 We have been mega busy in the studio with weddings not to mention collaborating on a number of photo shoots, so you will definitely continue to see us and our work in the coming months. We appeared on Whimsical Wonderland Weddings last month as part of Chloe and Andrew's wedding at Middleton Lodge. Just follow this link to have a look at the full set of images from what was a gorgeous June day. Photo credit to Hayley Baxter Photography. Kay and Jonathan's Wedding at The Black Swan, Helmsley featuring the most handsome ring barer. Super happy to be bringing you a wedding from March this year which took place at The Black Swan in Helmsley. Even though it was March, Kay and Jonathan definitely got lucky with the weather which although it isn't the be all and end all (some pretty awesome weddings have taken place in the drizzly English weather) it's always nice when the sun shines. I'm sure it won't go unnoticed that Kay and Jonathan had the best ring bearer in the form of their handsome dog Zac, such a good boy! Now lets talk flowers, for the brides bouquet Kay wanted quite a wild, asymmetric design with plenty of texture and trails. 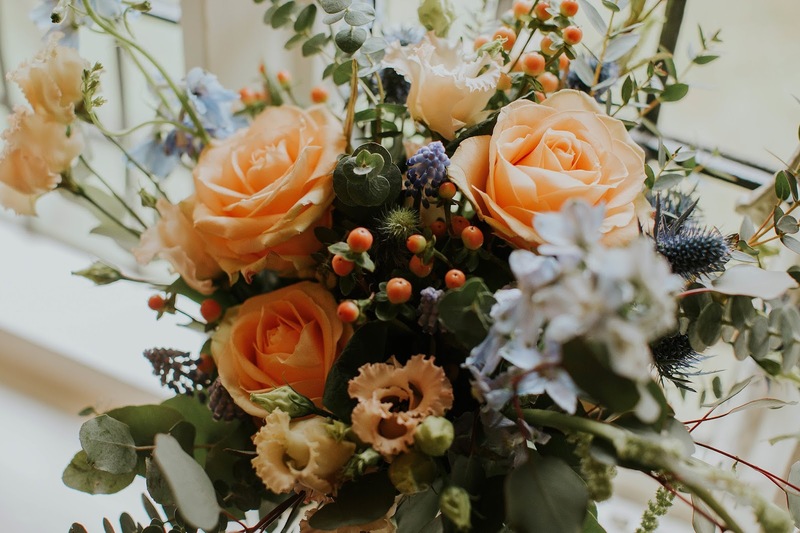 The flowers chosen were David Austin 'Juliet', ranunculus, delicate delphinium, blue thistle, eucalyptus, peach hypericum berries and muscari. 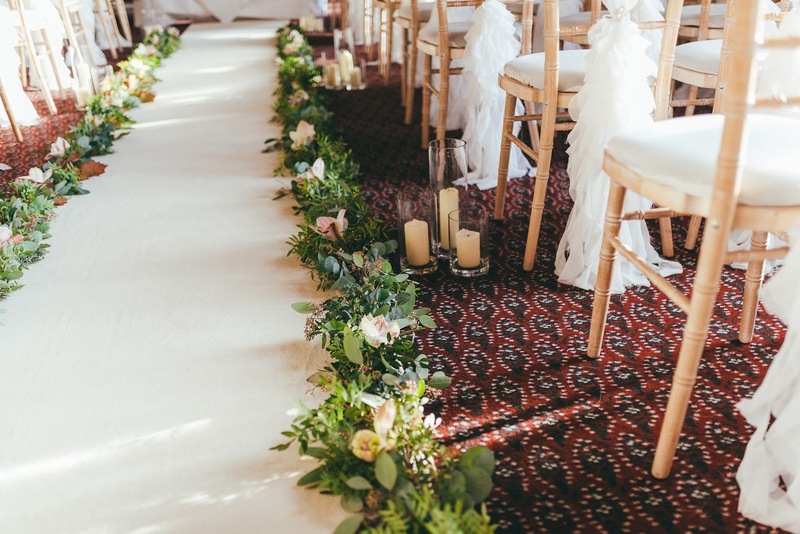 The florals were finished off with a simple yet stylish champagne ribbon. 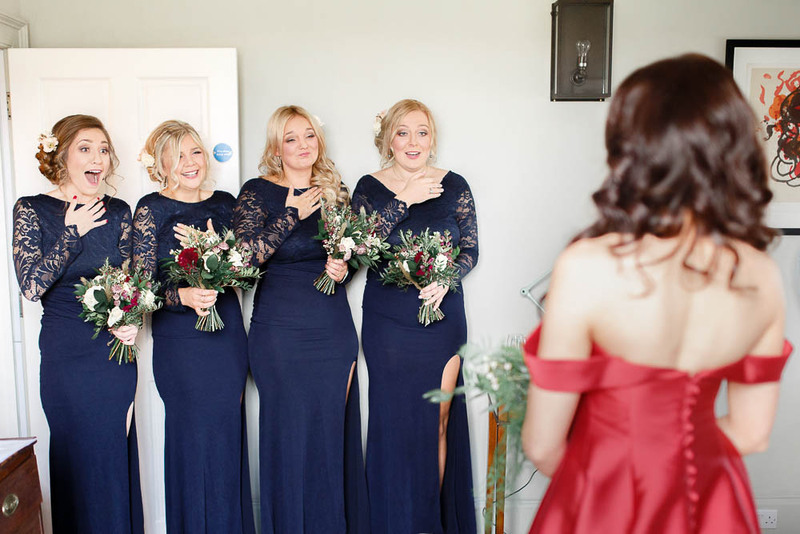 Bridesmaids had more of a compact posy design with flowers and foliage from the theme. Buttonholes were a sprig style design featuring muscari and thistle. T also designed a number of venue decorations which included a stunning long and low which you will see as you scroll down. 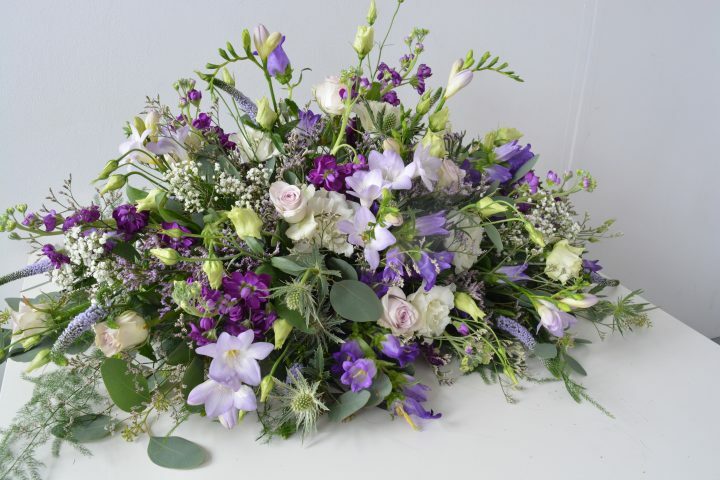 These versatile arrangements are great as they can be used on the signing table to then later be transferred onto the top table. The only thing left to say is massive thanks to Maddie Farris Photography for sharing these lovely images with us, scroll down and enjoy! Here is what we have been up too in April. We have had such a wonderful month full of fabulous seasonal florals. If you are looking for inspiration then look no further. Simply scroll down and enjoy. Last month we kicked off wedding season with a bang and got to design with some stunning spring flowers. Colour pallets remained varied as always from whites and greens to super brights. As always all photos taken by our very own T with our Kelham Island Studio as the backdrop. I do love it when the photographer manages to snap our very own T delivering flowers to the bride. As you can see from her face she is always just as excited as our brides are. 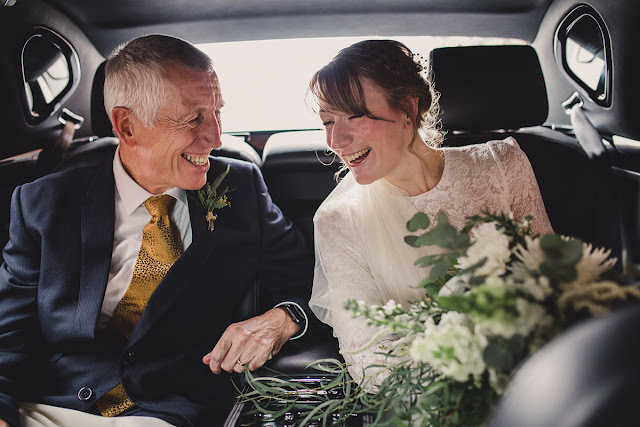 Laura and Jonny tied the knot in December in the gorgeous setting of 99 Mary Street followed by a reception at Trafalgar Warehouse. Although the couple were set on an urban feel they wanted to use florals to slightly soften the surroundings. For the brides bouquet Laura wanted and ethereal, wintery design - super simple, super elegant, understated bouquet to remember. T created a stunning shape which softly trailed beautifully against the brides dress. 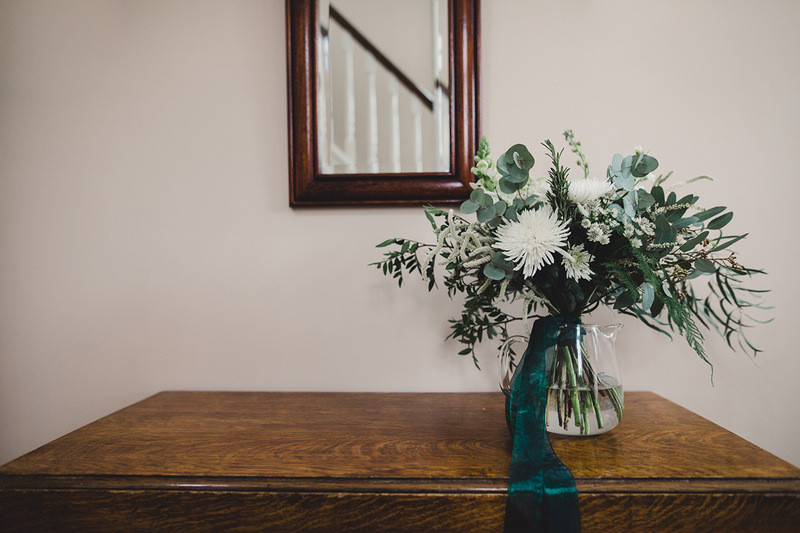 The bridesmaids had a hand tied posy packed full of green foliage and just a touch of white asparagus fern which adds a great texture to them. Buttonholes were a sprig design using eucalyptus from the couples' garden, white thistle and you guessed it, that all important white asparagus fern. Venue designs featured something quite close to mine and T's heart, gin bottles! Although I do have mixed feelings about this as clearly, there is nothing sadder than an empty gin bottle, but then again it was filled with gorgeous foliage and flowers so not all bad. T and Grace also got to make a botanical back drop at Trafalgar Warehouse for guests to take pics in front of (I believe the kids call them #selfies) and for the speeches to take place. Foliage was running down the middle of the long wooden tables with tealights placed in between adding that softness that I mentioned earlier. 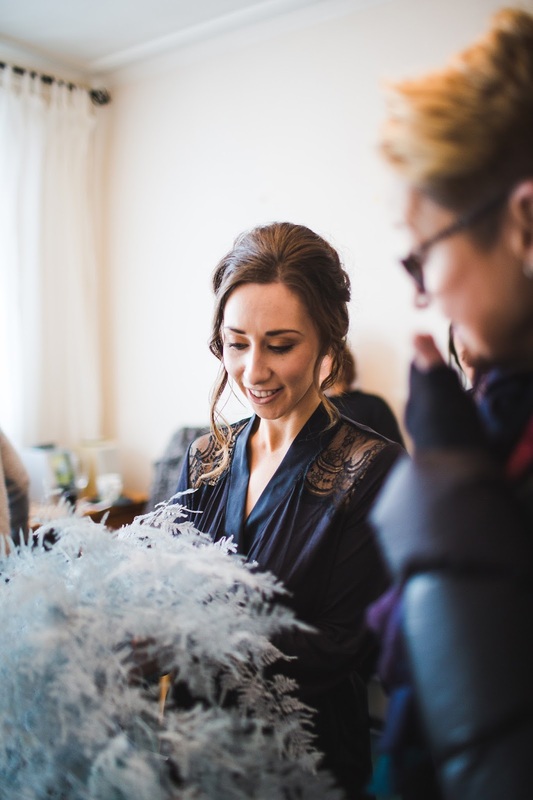 We got to work with our buddies at Inner City Weddings again which is always a pleasure and big thanks to S6 Photography for sending us the fabulous piccies. Scroll down and enjoy. Today we are brining you this rather grand wedding from November 2017. Felicity and Steven got married at Carlton Towers which is a wonderful venue full of original features and fantastic backdrops. The bride and groom wanted a whimsical romantic feel to the day with flowers accenting the venue. The colour pallet was burgundy, pale pink and ivory. For the bouquet Felicity wanted a wild asymmetric design with a mixture of smaller and larger blooms to create texture. 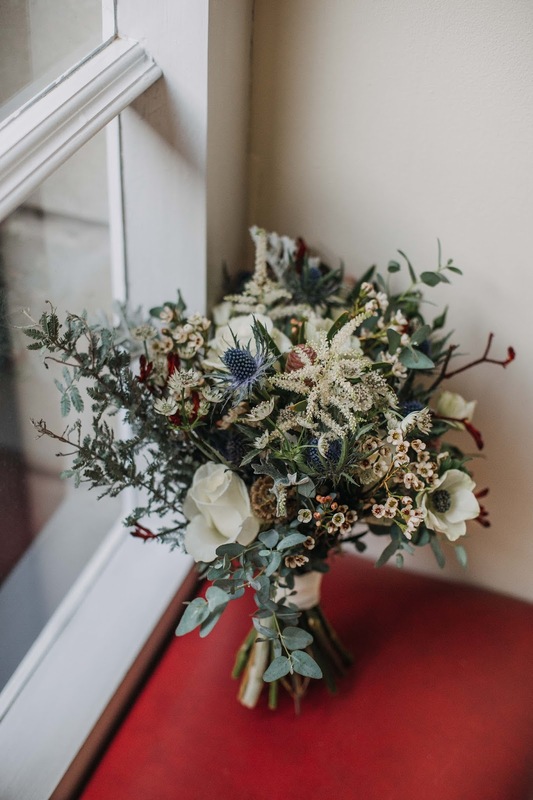 T used a selection of flowers and foliage including eucalyptus, seed pods, berries, amaranthus, amaryllis, roses, echinops and anemone. The bridesmaids had a smaller, posy style with similar flowers and foliage as the brides bouquet. 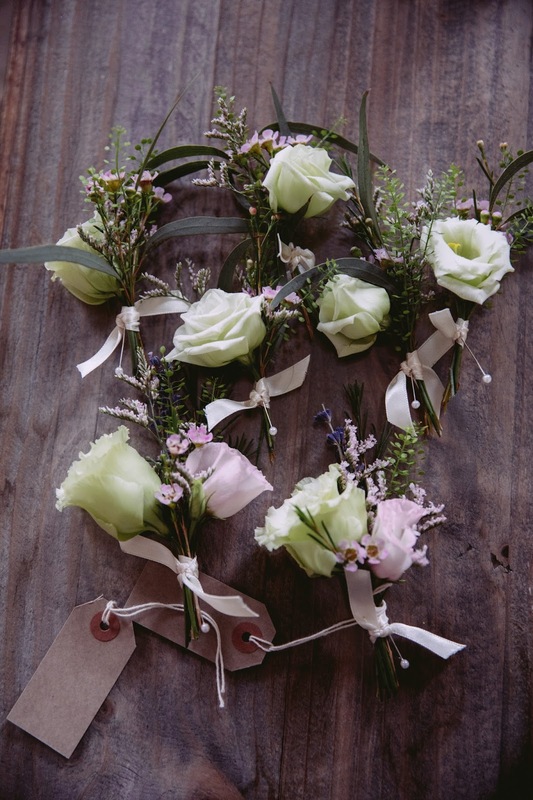 Buttonholes were kept rustic with a sprig design, plenty of foliage and a sprinkling of berries. The venue flowers were simply gorgeous from the isle runner to the long and low for the ceremony table T really did pull out all the stops to really work with this incredible venue. 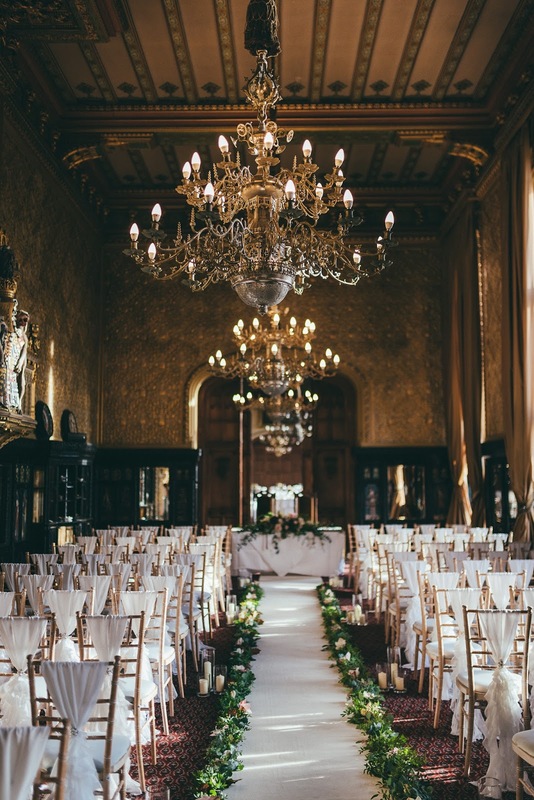 The table flowers sat beautifully in our set of gold footed bowls adding to the grandness of the surroundings. Although we didn't manage to get a professional shot of the incredible waterfall of flowers, T and Grace did take a few snaps on their phones which we just couldn't resist letting you see too! Massive thanks to Joel Skingle Photography for the images, scroll down and enjoy! Ok so we have done Christmas weddings, bonfire night weddings and Valentine's Day weddings, to name a few but this was our first ever New Years Eve wedding and we went all out on our floral designs for this one making sure that our bride and groom saw in the New Year with floral style! In the rather grand setting of Iscoyd Park it was definitely one to remember. The couple wanted a very natural feel to the florals with lots of textures and shapes with a burgundy, wine, red and cream colour pallete. 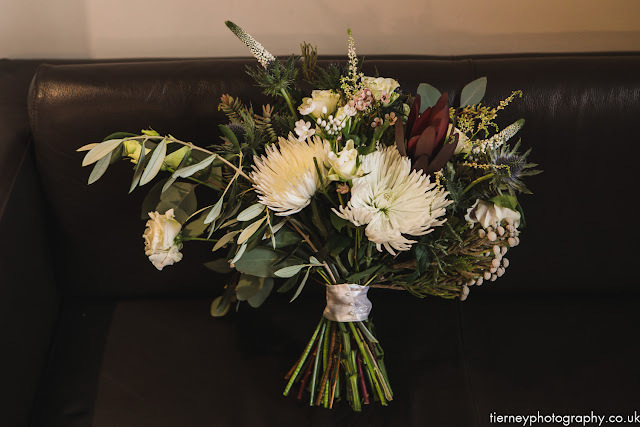 For the brides bouquet Laura wanted a soft flowing asymmetric design using lots of foliage and seasonal blooms. T kept it wild but not too messy with materials such asparagus fern, ivy, berries and two tone waxflower. Red was used as a accent colour so as not so take anything away from the gorgeous red dress Laura was wearing. The bridesmaids had smaller, more compact bouquets with flowers and foliage similar to the bride. 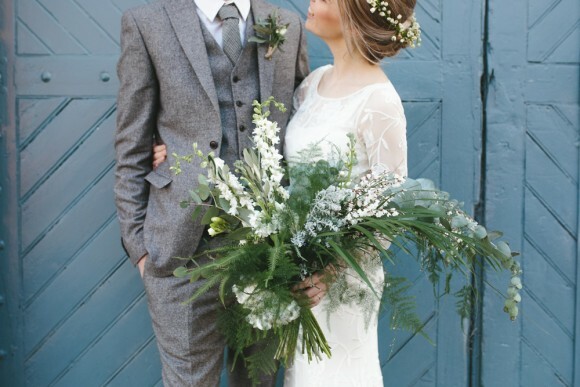 Buttonholes were kept to a sprig style design with plenty of texture. The venue flowers were definitely the icing on the wedding cake. As you will see from the pictures below the pedestal situated at the end of the isle in the centre of the ceremony room was really something to behold. With breathtaking flowers and stunning shape and design, not too big or too small, T got this spot on - which brings me to the importance of site visits and also having a florist with the skill to provide something just right for the space. Not wanting to do things by halves T also designed a 2 meter wreath to go behind the top table at the wedding breakfast which provided the perfect back drop for some incredible photographs and of course the all important grooms speech. Massive thanks to White Stag Photography for the beautiful images, scroll down and enjoy! 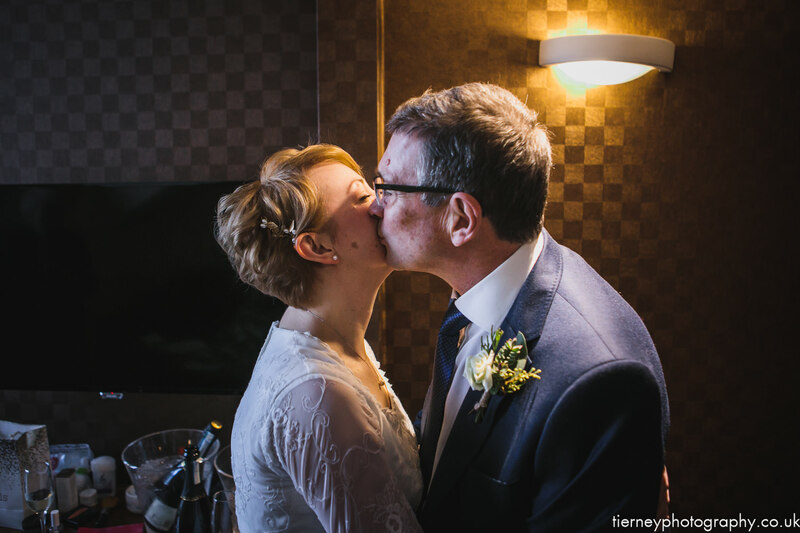 I do love our winter weddings and Charlotte and Steve's day was no exception. 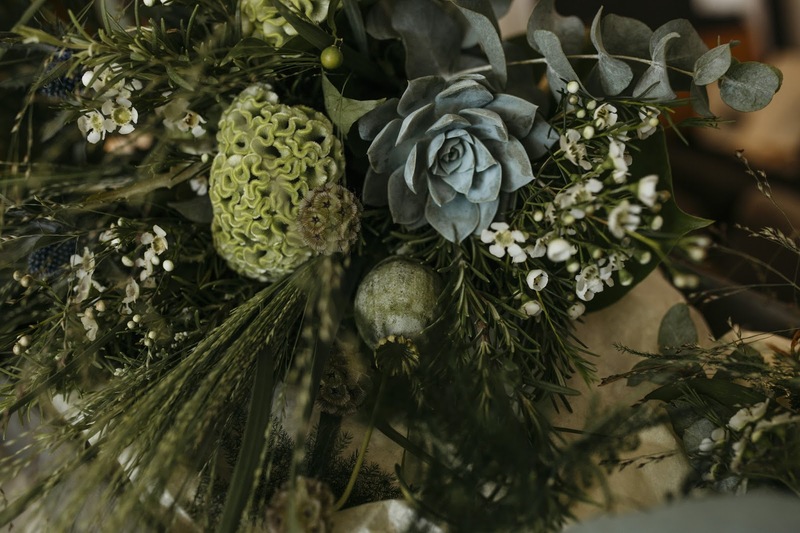 I am not a big fan of the cold but my word the flowers do love it and T makes each bouquet look so wonderfully magical with the white and silver blooms that are around at this time of year. The couple shared an intimate day, starting at Sheffield Town Hall and ending at Tamper coffee. 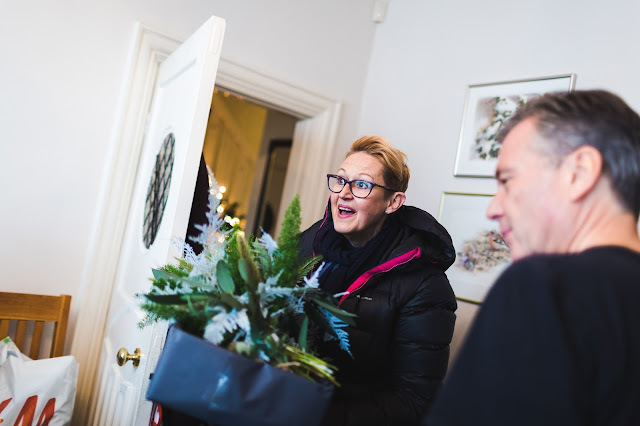 With the wedding being such an intimate affair, Charlotte and Steve took advantage of our collection service and picked the flowers up themselves. This is something our super chilled couples want to do, especially if they've not too much to collect. It wouldn't be right if we didn't mention Charlotte's dress as it's not only one of the swishiest dresses I have ever seen but..........wait for it............it had pockets!! Have you ever heard of anything more perfect. Massive thanks to Ellie Grace Photography for sharing the amazing images with us. Scroll down and enjoy!